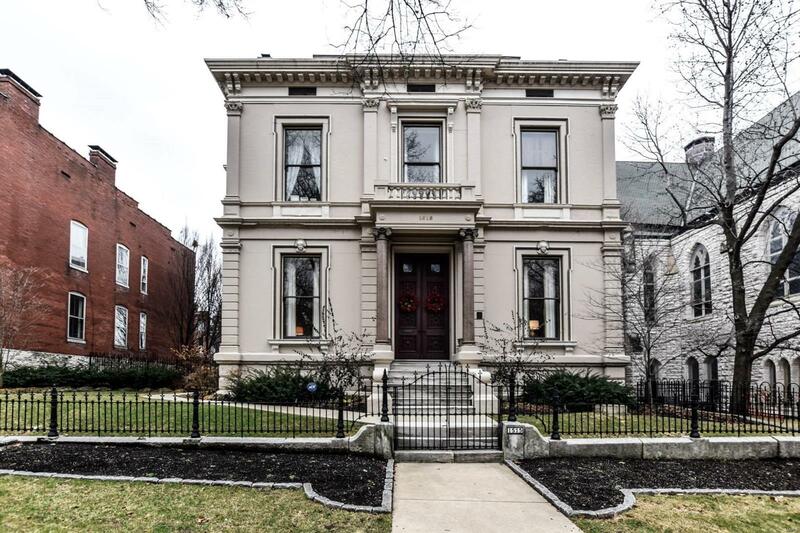 This amazing, completely restored Italianate home spans three lots providing ample space for entertaining. The massive entry doors open to a center hall flanked by spacious sitting rooms with 14 foot ceilings, intricate millwork, original wood flooring and marble fireplace mantles topped with 6 foot gilded mirrors. The stylish and functional kitchen earned the 2014 Kitchen of the Year Award from St. Louis Magazine! 2nd floor features a simply stunning master suite with columns, large closets, sitting area, fireplace, and elegant marble bath. Two more large bedrooms, laundry, and bath round this floor out. 3rd floor features a lovely guest suite and has newly installed carpet in the craft area and exercise rooms. Back yard is a dream with a new patio, carriage house with apartment, Gothic inspired, in-ground pool, pool deck, changing area with bath, and two car garage. Spectacularly located adjacent to Lafayette Park and near terrific retail, dining and nightlife.